Trudy Genvoa, RN, a medical consultant for a movie studio, loves work, until the actor whose overtures she's refused dies during taping--but not before pointing his finger accusingly at Trudy. When NYPD suspect Trudy, she sets out to clear her name. Trudy sets out on her own investigation, to the chagrin of detective Ned O'Malley. When a second death occurs at the studio, Trudy realizes she's put herself in jeopardy. 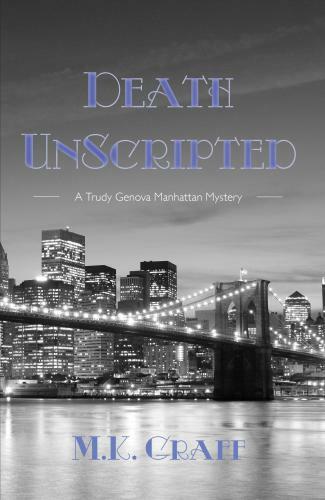 A new mystery series from the award-winning author of the Nora Tierney English Mysteries, Death Unscripted was a finalist for an IAN Mystery Award and shortlisted for the Mystery and Mayhem Award from Chanticleer Media.